2011 gave birth to new and exciting work out and exercise routines, including Zumba, and it has also been kind to alternative form of keeping fit, like Yoga, Capoeira, and the likes. I bet you’ve have tried one, if not all of them, this year. If not, where have you been hiding? Okay, it is really never too late to try out these healthy options, in fact, the new year is one opportune time to try them out. How does a new you for the New Year sounds to you? Tempting, right? It is not only the health buffs or those dedicated ones who frequent the gyms who deserved to be healthy. You do to + you owe it to yourself and your loved ones. For starters, you can probably try out Yoga, enroll in a class or learn through video demos. Try out the simple pose first before attempting the highly complicated ones, those will take a huge amount of practice and agility to master, anyway. Slowly as you go deeper into the practice, you will see the physical manifestations, as well as the health and mental benefits, it brings you. Here’s to a healthier you in 2012! This entry was posted in Exercise, Healthy living and tagged best fitness exercise, best fitness exercise for 2011, capoeira, fitness, health buff, yoga, zumba on December 31, 2011 by Yami. Basketball is probably one of the most strenuous sports ever invented, not to mention it can get really physical in the hard court. Still many men and women engage in it. I cannot blame them because basketball exercises almost every part of the human body. Sprints strengthen your legs; practicing defense strengthens your legs too as well as your back; jumping promotes body coordination and builds up your lower body; same is true when you work on your agility. It may look as if basketball only fortifies mostly your lower body. But when you are in the hard court, all of you functions well as you fight your way to the finals for the most coveted trophies. 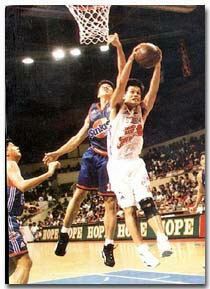 This entry was posted in Exercise, Sport and tagged alvin patrimonio, basketball, outdoor sports, philippine basketball association, physical exercise, popular sport on December 28, 2011 by Yami. I was nursing a slight fever one time when my kids came home from school. Despite my condition, I prepared a snack for them because I know they need more energy. School is truly mentally and physically draining and there are still the homework and projects to deal with at home. After they ate their snacks, my eldest said they have a project that involves miniatures. It is call a military diorama. So I searched online for military models. My eldest was so happy with what we found. There were armour, tanks and other vehicles, infantry and crew men with different nationalities, and even ammunition. We did not realize such things can be found online! This entry was posted in Personal and tagged miniature, miniature toys on December 28, 2011 by Yami.